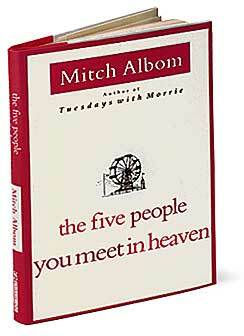 This past spring I read The Five People You Meet in Heaven by Mitch Albom. It is a rather small and quick read, but I have a couple of thoughts on it anyways. First, I enjoyed the stories and the ideas presented in it help keep me centered on whats is important in life; what to be concerned about or what to pursue. Also, though it seemed like a feel good book being marketed towards lonely folks. This was especially so in some chapters to be crafted to solicit idea of 'as long as you just try' or 'just be happy and everything will be okay.' This seems shallow, and leads people to avoid conflict; even the sometimes necessary conflict.